One of the blogs I follow recently posted this fun little meme. Travel blogs are nominating other travel blogs, but I encourage my fellow linguist bloggers to just post this with their own info. I had a lot of fun reminiscing about my past travels while doing this. 19. 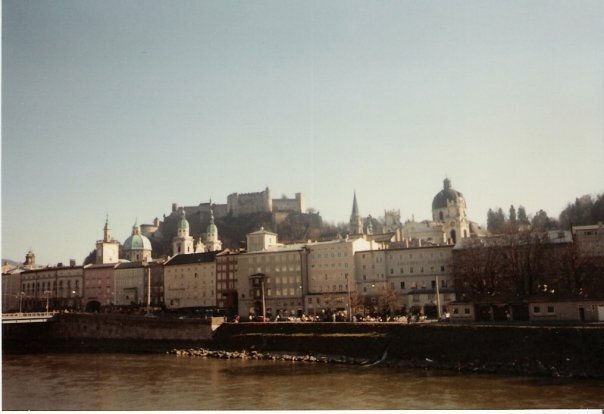 I was a junior in college and lived abroad in Salzburg, Austria for a year. It may have also been the first time I had ever been on a plane. Up until then we had always driven to our destinations. I really like Grimbergen, Leffe or Duvel from Belgium. The first time I drank it was obviously in Belgium. I’m pleased that they are now available at some bars and grocery stores here in Cleveland. Czech – although Italian is a close second. I just love those Bohemian bread dumplings (knedliky). Favorite destination is Prague. I’ve been there four times. 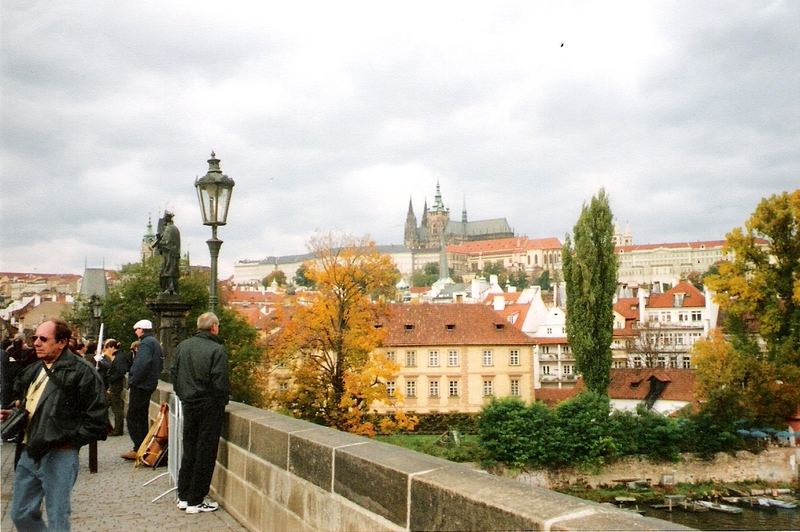 It’s a magical city, with the castle overlooking the winding streets and the Charles Bridge. I love the food, architecture and the river. My second favorite destination is New Orleans. Awesome location, awesome food, awesome music, and a fun culture. I have yet to find my least favorite destination. Christmas in Germany and Austria. The Christmas markets are a lot of fun, and there is hot spiced wine to keep you warm. The train. I have been all over Europe on the train, from Italy to Norway, Paris to Budapest and everywhere in between. I’ve even been to New York City several times on the train. It is relaxing to just watch the countryside go by. The adventure of discovering new places, new food and new traditions. The service at the resort in Mexico was really good. Usually I stay at middle-class locations or youth hostels, so staying at a resort where you could eat overlooking the ocean or get any kind of fresh juice you wanted (watermelon!) was pretty awesome. I try to buy a piece of jewelry or accessory from each location. I cherish my framed piece of lace from Bruges, Belgium because it is one of the first keepsakes I ever bought. Slovakia. Lots of East Block architecture and not many restaurants to choose from. We got out of there pretty quick. 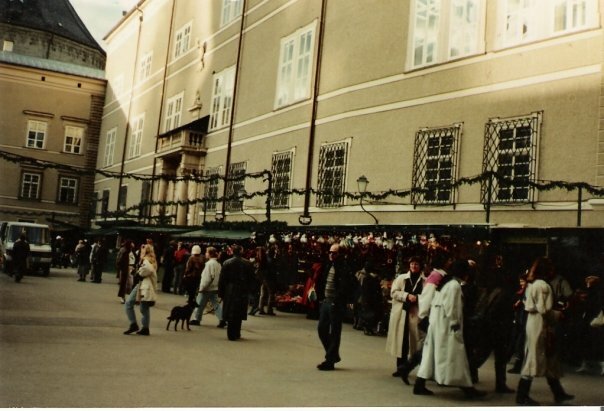 My first trip to Austria in 1989. We stayed at several nice hotels during my AYA year abroad. The nicest one was the Hotel Ambassador in Berlin. They gave some of our group the penthouse, and we had a pool party. Obsession: what are you obsessed with taking pictures of while traveling? The buildings. I love all the different building styles out there. Passport stamps: how many and from where? Nearly all of my stamps are from Europe or the US. I’m on my third passport, so I have no clue how many I’ve ended up with over the years. We traveled the United States a lot in an RV with my grandmother when I was a kid. We visited lots of quirky roadside attractions (and campgrounds) with the RV. I think the quirkiest was some dinosaur roadside attraction. I think that is where I bought Mexican jumping beans from some tourist trap store. We also stopped at the Crazy Horse Memorial in the Black Hills of North Dakota thirty years ago. It still isn’t finished, so you can imagine how it looked back then. 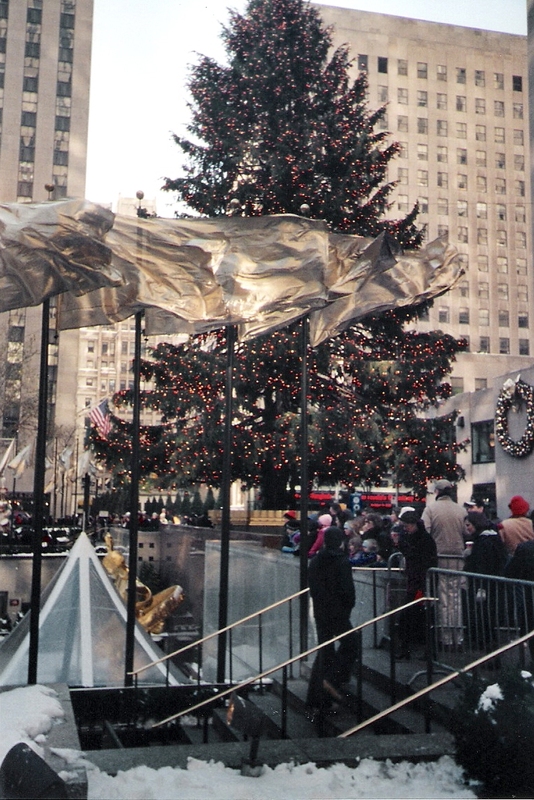 Christmas in New York City. Everyone should experience it at least once. If you buy tickets for Broadway and Radio City Music Hall in July you can get some awesome seats. A good meal. I have enjoyed a lot of memorable meals – both good and bad. But a good meal is something you remember as making your trip worthwhile. Eating a muffaletta on a bank of the Mississippi, enjoying the most amazing slice of pizza in Florence, raclette in the Latin Quarter and duck at an amazing brasserie in Paris when all my roommate wanted to eat was McDonald’s, the pork and dumplings in Prague, eating bread with Swiss cheese covered with jam for breakfast in Norway, and the tortellini in Finale Ligura were ones that stand out the most. 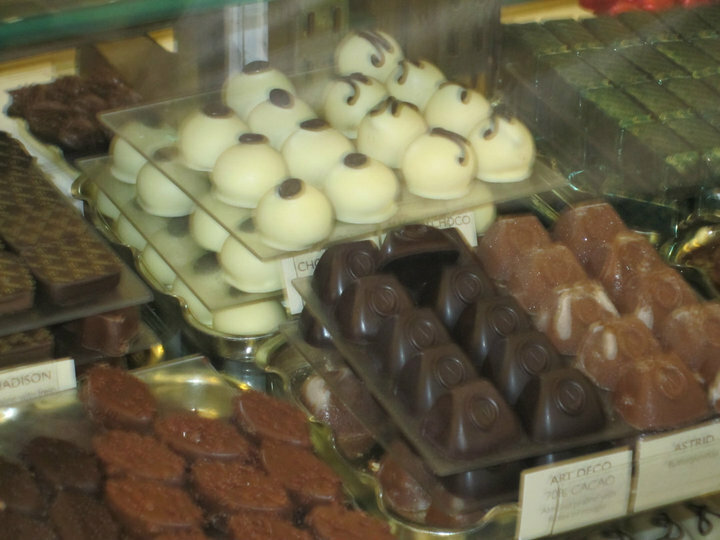 And of course Belgian chocolates. I went on the Sound of Music tour in Salzburg with a bunch of Australians who had lived in Austria for years. It was a riot. I toured the salt mines of Salzburg, sliding down the big wooden slide and floating across the underground salty lake. I remember taking a boat to see the Wisconsin Dells (and toured an iron ore mine) with my Aunt Birdie, Grandma G and my sister. 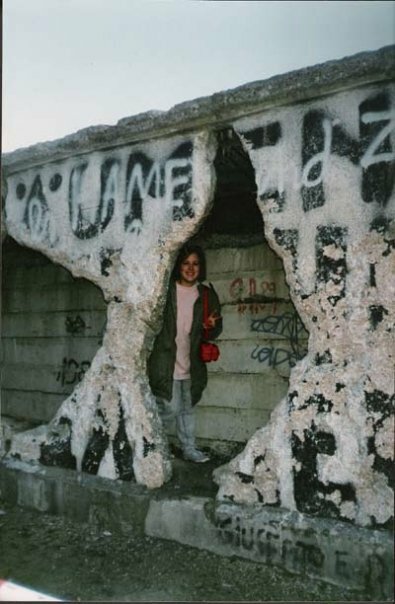 I climbed in the Berlin Wall. If you are a tourist you should do touristy things. Chopping at the Berlin Wall in February 1990. I toured Haus der Geschichte (Museum of History) ten years later and heard the sound of hammers on the Wall before I saw the video, and it gave me chills. Visas: how many and for where? About 5 German residency visas total. Wine: best glass of wine while traveling and where? I’ve had some good wine over the years. The most memorable evening was in Vienna with my study abroad group. It was a warm evening, and we enjoyed the new wine at a Heurige. eXcellent view and from where? 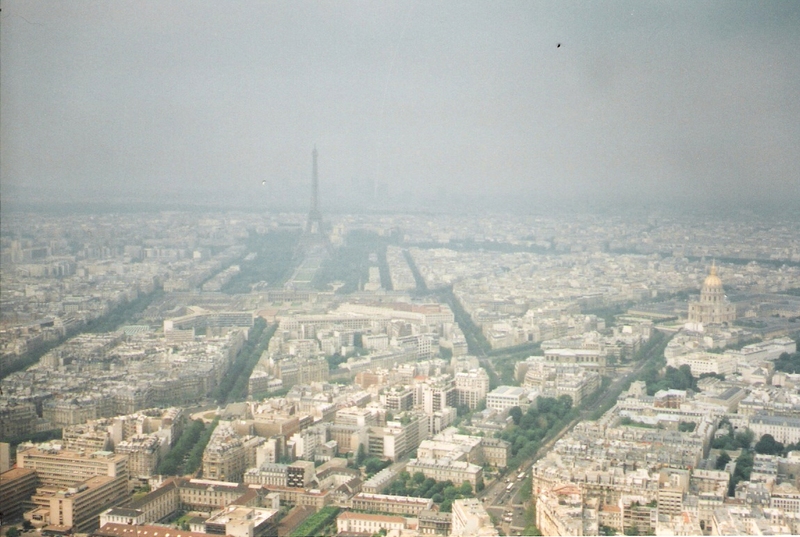 The view of Paris and the Eiffel Tower from Montparnasse was pretty spectacular. The Grand Canyon wasn’t too shabby either. As kids, we spent many summers traveling all over the U.S. in an RV with my grandmother (Maine, Vermont, Arkansas, Oklahoma, Kansas, Wisconsin). My family drove to New Jersey every summer (the Shore to visit my mother’s godparents and to visit my grandmother). One of my dad’s best friends lives in Niagara Falls. I lived abroad for a total of seven years. 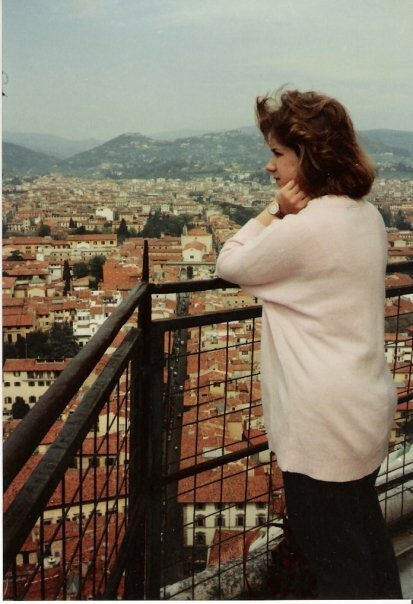 I have seen lots of sights in the U.S. and abroad, so pretty much most of my life has involved trips of one sort or another. Everyone should experience a German soccer game. It just can’t be described. Czech cuisine is not well known, but is in fact heavily influenced by Bavarian and Austrian cuisine. It’s heavy and packed with calories, but it is really good if it is done well. I only realized what a great cook my mother was after I emigrated. This Czech-American made the transition from vepro, knedlo, zelo, svickova omacka, and Becherovka to shabu-shabu, sukiyaki, sushi and Bourbon a long time ago …. but sometime, for instance when I am reading your post, it feels like I wasted my life for nothing. For the record, today I had sushi, tofu and rice for dinner because my wife needed to get rid of “o-nokori-mon” (leftovers). I’m eating sushi tonight too, but I am having it delivered. It’s too labor intensive to make for just one person. For the record, my favorite Czech meal is svickova na smetane. Yum! 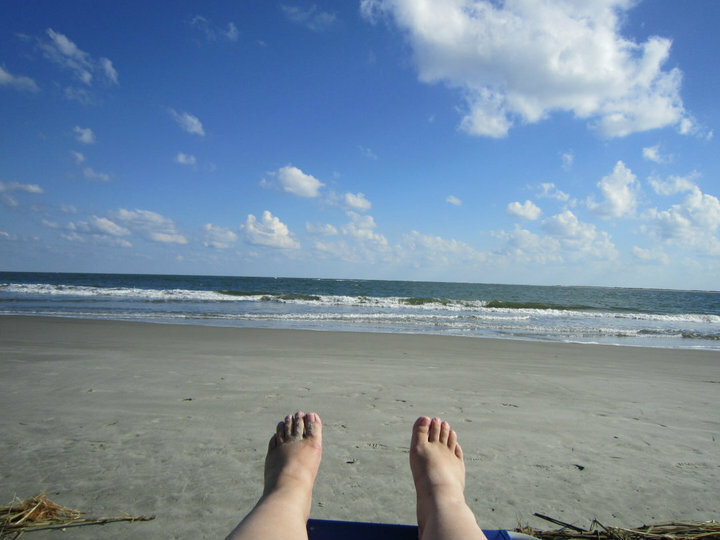 I’ve been reading your blog for a while now and I have thoroughly enjoyed it. I especially like all your references to Connie McKay’s book. It was the first I read as I set out on my job hunt as a translator and it is still the book I refer back to for any question I have. I have added your site to the daily blogs I read and I’m looking forward to reading more insight from a “senior translator”. I invite you to take a look at my blog too, dktranslations.wordpress.com, started at the beginning of last year, but that i have only recently started keeping up to date. Maybe if you enjoy it, you could give me a shout out, so I may generate more readers. I am intrigued by this knedliky… Sounds like a large matzo ball. I imagine it is one hot sticky white mess if not prepared well. Happy New Year, by the way! But it’s a fluffy, delicious pile of heaven when prepared well. If you get a chance to try it you should. Travelling is soooo awesome! I’d barely be able to choose only one answer to these questions!!! Best restaurant experience while visiting Frankfurt, though: Atschel african/aethiopian restaurant on the banks of Mein, eating without cutlery (Aethiopian style) and watching the snow falling outside!Fantastic!